Remote sensing satellites currently operate at about 500-800km above the Earth, above the residual atmosphere that exists at lower altitudes. But this means that observations of the ground must also take place over this range, either limiting resolution or requiring large telescopes to be used. The €5.7m grant from the European Union's Horizon 2020 fund will allow the research team to design new technologies to build satellites that can operate at 200-450 km above the Earth's surface – lower than the international space station. 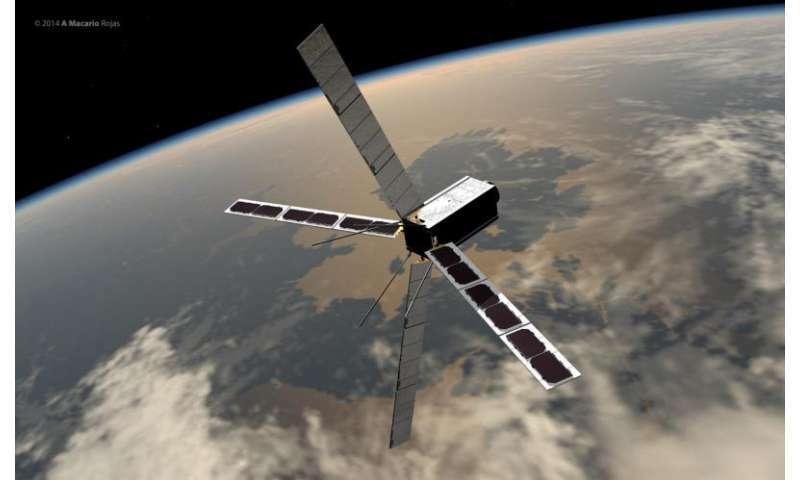 Dr Peter Roberts, Scientific Coordinator for the project, said: "Remote sensing satellites are widely used to obtain imagery for environmental and security uses such as agricultural land management, maritime surveillance and disaster management." "If we are able to get satellites closer to Earth then we can get the same data using smaller telescopes, or smaller and less powerful radar systems, all of which reduces the satellite mass and cost. But there are also many technical challenges which until now have been too great to overcome. This research tackles the problem on a number of fronts." One issue is that the atmosphere is denser the nearer to Earth that satellites get. This means that drag needs to be minimised and countered. To do this, the team will develop advanced materials and test them in a new 'wind tunnel' which mimics the composition, density and speed of the atmosphere as seen by a satellite at these altitudes. This will allow the team to test how materials interact with individual atoms of oxygen and other elements in the atmosphere at speeds of up to 8km per second. The ultimate aim is to be able to use these materials to streamline the satellites. They will also test the materials on a real satellite launched into these lower orbits. The satellite will also demonstrate how the atmospheric flow can be used to control the orientation of the satellite, much like an aircraft does at lower altitudes. In addition, the team will develop experimental electric propulsion systems which use the residual atmosphere as propellant. This approach has the potential to keep the satellites in orbit indefinitely despite the drag acting upon them. However, it also means that the satellites will re-enter quickly when they've reached the end of their mission avoiding the space debris problems experienced at higher altitudes. All these technological developments will be worked into new engineering and business models identifying what future very low Earth orbit remote sensing satellites would look like and how they would operate. The project will also map out the path for future exploitation of the developed concepts.